Happy Hour 5:00 p.m. - 6:00 p.m.
*Reservations can be made online or by telephone. If you are unable to book online, please call the restaurant as we may still be able to accommodate your reservation. 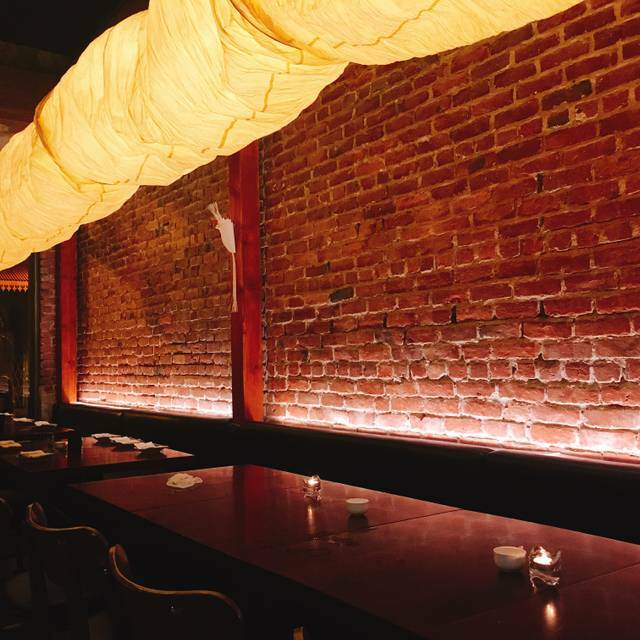 Please note: We plan our evening around a 2 hour dining period for each reservation. If you feel you will need more than 2 hours to dine because of a special occasion or a celebration, please let us know and we will do our best to accommodate your request. We look forward to serving you. Multiple parking options. 4 municipal parking lots within a 5 minute walk to our restaurant as well as various street parking options: metered parking is available all day; parking in loading zones is usually allowed after 4:00 p.m. and metered parking is usually free after 6:00 p.m. (please check signs carefully as times could be different in some areas). North Hotel St. is an exclusive busway for The Bus (operated by the City and County of Honolulu). There are several bus stops located within a 1 minute walk to our restaurant. 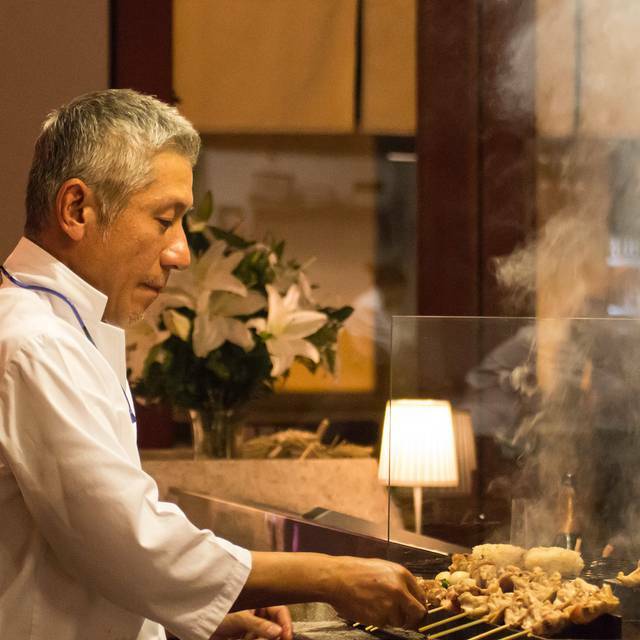 Bringing the spirit of Hakata Yakitori to Hawaii. 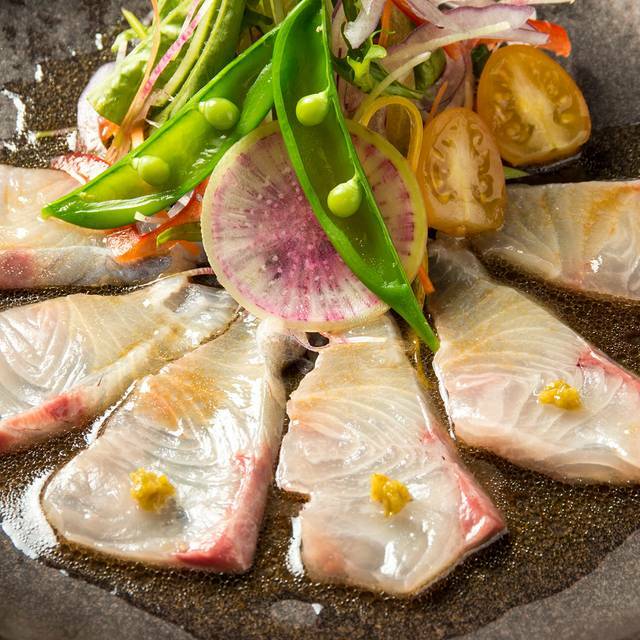 Using traditional Japanese techniques passed down through generations, our chefs grill Hawaii's natural ingredients to perfection. Supporting the community we serve, we are committed to sourcing the very finest ingredients from Hawaii's many talented farmers, fisherman, purveyors and suppliers. 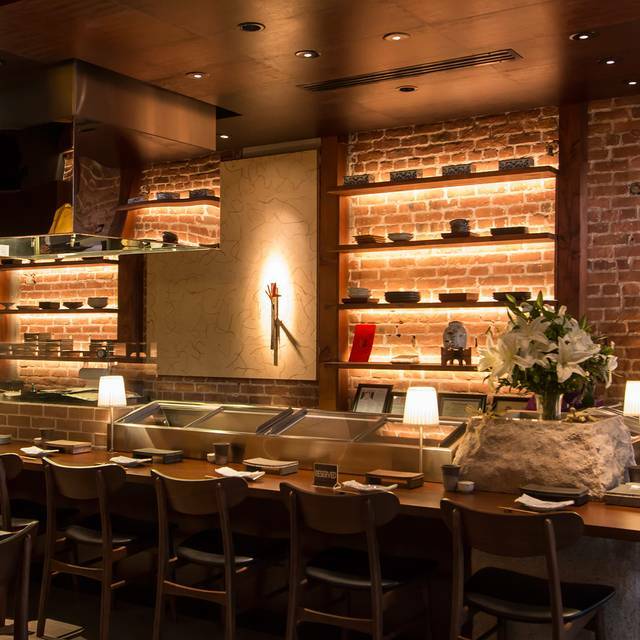 All of our yakitori is skewered fresh daily and our broths and soups are taken naturally from katsuobushi (dry shaved bonito), konbu (dried kelp) and iiriko (dried sardine). 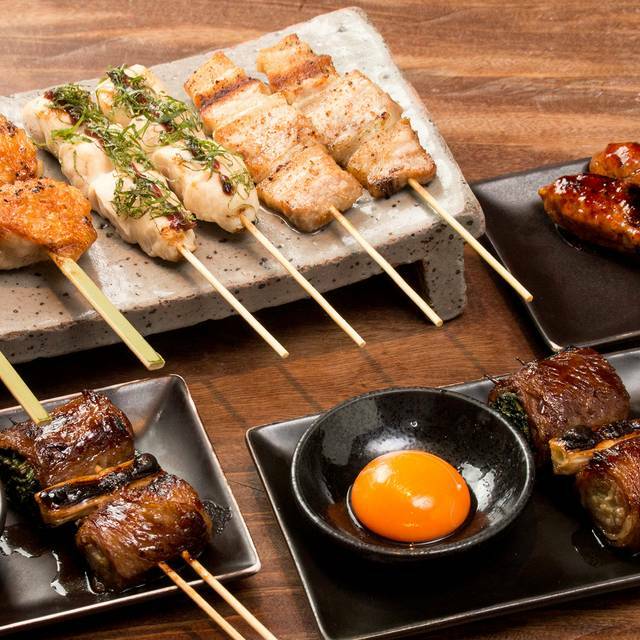 A wide range of beer, wine, nihonshu (sake), shochu, chuhai and highballs are available to complement our Yakitori. 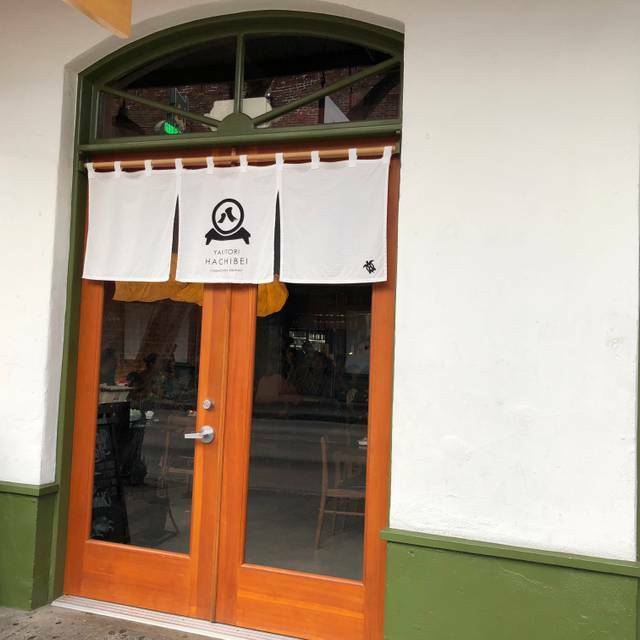 Housed in a 1902 brick building in Chinatown, Yakitori Hachibei, with a retro-sleek ambiance, brings a new dining destination to the heart of Old Honolulu. Excellent dinner. Extensive menu including an “early menu.” Beautiful presentation and quality ingredients. Miso Eggplant, Ahi Poke, Yaki Musubi, Ramen and Matcha Creme Brûlée were our favorites. Robert was professional and very gracious as well as our server. Thank you. Family in town and celebrating a birthday. Great Yakitori, good service - especially Mgr? I think his name was Robert was very attentive & accommodating. We will definitely go back! Excellent food, nice ambience, corteous service! We look forward to go again and taste other things from a very unique menu in Hawaii. 2nd time hubby and I dined here. 1st we sat at the counter, this time it was at a table. We opted for the course meal, it’s was the longest dinner I have ever had. Reservations were for 7:30 we didn’t finish till 10pm. The kitchen seemed to be struggling to keep up. The grill was on point. I had to ask several times why the delay. I’ll still go back but definitely be sitting at the counter. Service started out spotty....I had to hail a server to order drinks and he wasn't very pleased about being called upon. I called him the second time and he ignored us....however, our real server made up for the difference. We walked by and decided to give this place a try. Food was bland and some skewers were hard to eat. 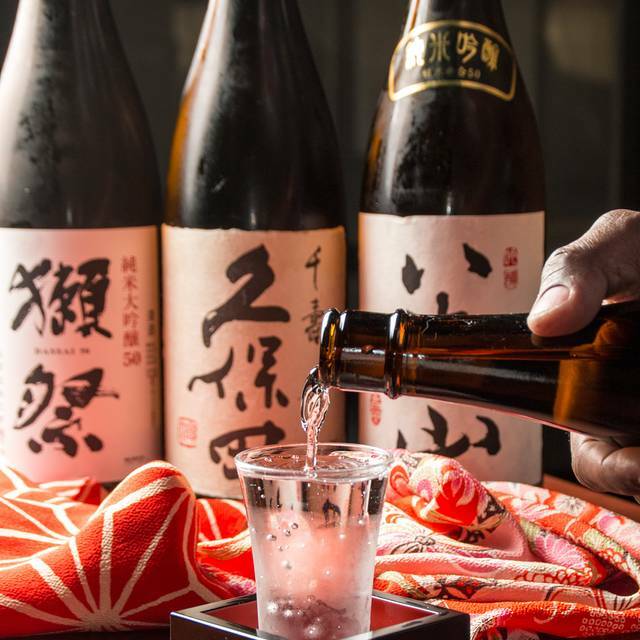 Cant order bottles of sake, just by the glass. Not flexible to customer needs, 3 levels of chef menus, all must order same or not at all. Comes very short for me. Absolutely fantastic, authentic (in presentation, quality) Japanese food! Excellent as always. Best yakitori in town. Lots of happy hour specials if you are on a budget. A4 wagyu was melt in the mouth tender. Yotsumi is always a winner. Their ramen is a great way to end a meal. Our experience was excellent. The food is designed and sourced with care. Japanese tradition is evident and attention to detail prevails. Flavors are fresh and exciting. Service is personal and friendly. To us, a great value and a new favorite dining option. Dinner at Yakitori Hachibei was great! The food was excellent. We really enjoyed the butabara, sukiyaki, and chicken ramen. Service was also excellent with very friendly staff who made good recommendations. We will be back! Amazing valentines experience and prefixe menu!! Valentines Day dinner. What a great experience. Fortunate to be sat at the "bar", which is like a sushi bar. Tried a lot of different yakitori sticks and they were all good. Miso eggplant was a winner. Owner was very gracious and appreciative along with the rest of his staff. Oh, and don't forget the chocolate cake. That's a must have to end your meal. Cant wait to go back and try other items on the menu. Owner, Robert, is a most personable and gracious host. I felt like I was in his home enjoying wonderful food we loved everything we had! Great food. Meet owner Robert and he was very hospitable and quite impressed with all of his staff. Aloha spirit and professional. Will spread the word about the experience and will be back when visiting. I came to eat here at the end of Dec 2018 and I have to say... it was by far my FAVORITE meal in 2018. (and I'm a HUGE foodie- traveling all over the world to eat at the various places including multiple Michelin Star restaurants). 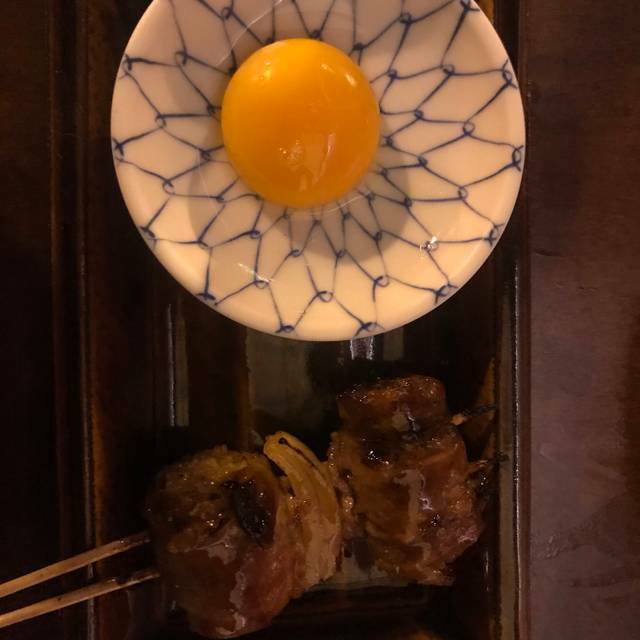 So, when I was back in Oahu a month later, I HAD to come back... and let me say... the team at Yakitori Hachibei did not disappoint. 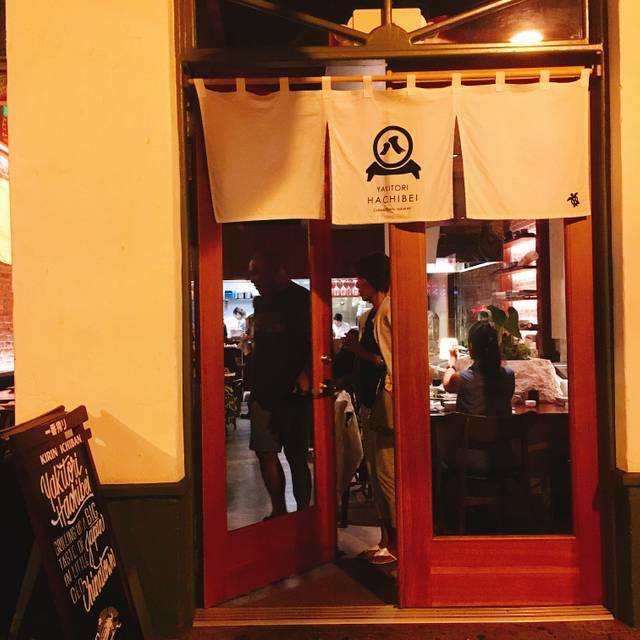 Not only is the food amazing, the service is impeccable and the fact that the food is locally sourced and ALL of the animal is used, makes me very happy to know/hear/eat here. I definitely would recommend this place... hands down! Wow the food was small so small i needed a microscope. They have one grill meaning you need to wait for your microscopic food to come out in the queue. Everything tasted delicious but it was so small even after several orders i was HUNGRY my advise skip this one. Great food, we decided to try a bunch of different things vs the fixed course menu. Favorite was the pork belly swirled with a basil-like leaf. Great ambiance. We will definitely be back. A reservation is a must, request the counter if available. Suggest early reservation (5 - 5:30) so you can get the discounted starters. The goma salmon, goma kampachi, spicey ahi rice crisp, yamaimo fries, and tempura calamari were perfect. We then enjoyed the following skewers: pork belly (butabara), enoki maki (mushroom), tomato maki, and the expensive (but great) A4 Japanese Wagyu. Finished up the dinner (about 2 hours) with two orders of the chicken ramen. Kirin draft beer only $5 during the 5-6 Happy Hour. This is our second visit. We learned to order most of what you think you will eat all at once and let the waitress and yakitori chef pace the food for you. We will be back! Chicken skew was dry and felt like frozen chicken. The others were ok. Only good dish was eggplant denngaku. Very disappointed. Very sketchy location in Chinatown, but once inside everything was excellent. From out of town so maybe we will give it another chance. This is the best Japanese restaurant I've ever been to. Unique to-die-for flavors. Not too expensive. Second time visit and loved it again. Say at the bar and enjoyed the set menu which was delicious. Staff are friendly and welcoming. Well, it's been a year since we last ate here on our annual return to Honolulu and still one of my favorite restaurants in Hawaii. Robert, the manager, makes us feel so welcome and we had our same server, Sasha that we had last year. The service and food was awesome and reminded us of why we like this restaurant so much. They had a few new items on their menu and was a great addition to their outstanding menu. Not bad but not good either. I'm particular with Yakitori and this place would be below par if it was in Tokyo. Of course if I compare it to my favorite yakitori place in Tokyo, Masakichi this place would be below average. I don't like places that try to present themselves as good but fail to deliver. Everything was very nice, but the counter was a bit too energetic, and it was difficult to have a nice conversation without having to raise one's voice. The seafood chawanmushi is one of the best we've tasted in Honolulu. The timing of our food service was hampered only by our unfamiliarity with the most efficient way to order it. We should have ordered our happy hour selections along with the other items (mostly skewers) we wanted. Then, if we wanted more, we could have ordered more. We caused a break in the service because of ordering from the Happy Hour food menu, then later ordering the other items we wanted. Talking with the manager, who is wonderful by the way, we learned that we could have ordered everything at once and our server would have managed the timing of the food for us. We learned and will order this way the next time we go. The following items were exceptional: Spicy Ahi Rice Crisps, Yamaimo (sweet potato) Fries, Fried (tempura) calamari, Tongue, Shishito peppers, Pork Belly (Butabara), Minced chicken. They did not have the pate so we cannot rate. Skewers are 1 per order, enough for a good taste for two. I suggest at least 8-10 different skewers as well as at least 3-4 different Happy Hour discounted starters if you are smart enough to arrive at 5 PM. The menu is extensive beyond just skewers. We are looking forward to at least 5+ visits just to try most of it. Reservations essential. We did not sit at the counter, not critical like at a sashimi bar. We could see the food being grilled from our table. If you get a table, be sure to get up to take a look at the prepared skewers at the counter refrigerated display case. Staff top notch....manager/owner told us the entire crew was brought in from Japan.